How do you decide what’s your favorite South Fork Coffee? If you are a company like Inflexion in Eugene, Oregon, you have to do an in-house extensive research study. Inflexion is a nonprofit consulting group that helps educators better prepare students for life by finding ways to create a learning community with the best systems and supports. “We are a company filled with researchers so this had to be a very research-y project,” noted Roberta Kellis, the office manager for the company. First came the preliminary tastings. 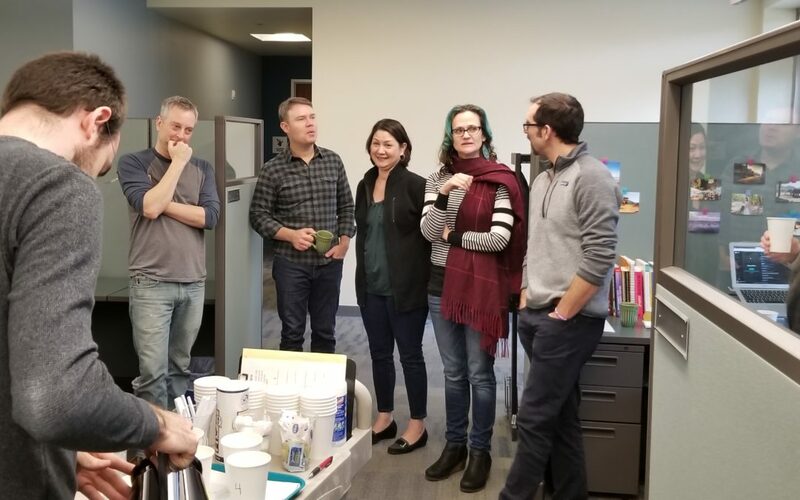 Monday through Thursday mornings the Inflexion team brewed several pots of each of the eight coffee varieties from South Fork Coffee used for the experiment. 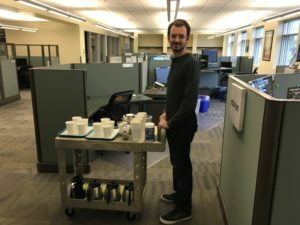 Employees then submitted comments into the dedicated Slack channel where they could vote YES or NO for the individual coffee flavors they tried. According to Forbes, team building is the most important investment you will make in your employees. It doesn’t have to be awkward, lame or expensive. So take a cue from Inflexion and have some laughs over a few cups of good coffee.